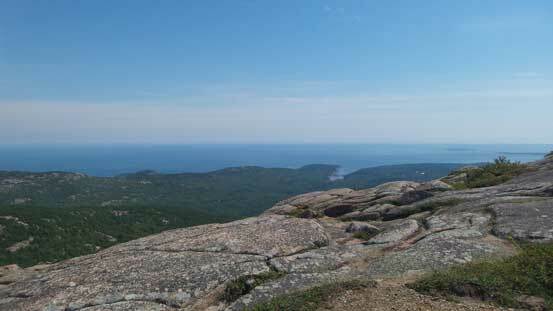 Along the coastline of Maine in the far northeast of United States there’s one little gem called Acadia National Park on Mount Desert Island. This park is famous for its mountains, islands and coastline scenery, and although nothing comparable to the west coast of British Columbia, it’s indeed one of the more rugged places in its vicinity. 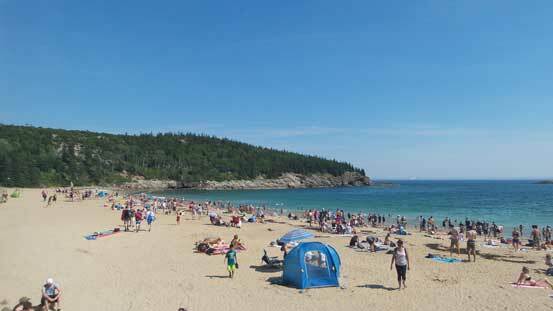 In the prime tourism season from June to September, this area sees thousands of visitors everyday and become super crowded. 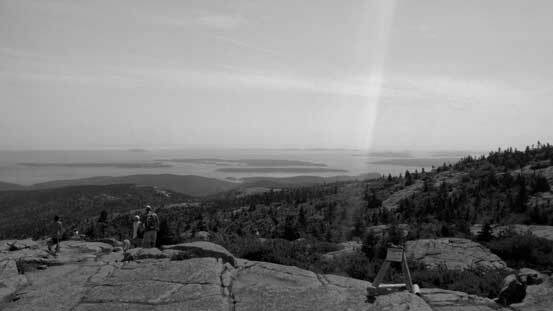 Cadillac Mountain is the highest peak in the park and just like other parks in the eastern United States, this peak is also very well developed for tourism industry and there’s no exception on that. With a paved road leading right to its summit the number one thing crossing my mind was to deal with the hordes and hordes of tourists. 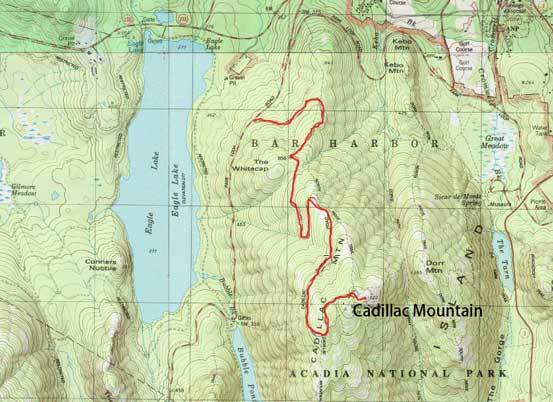 In fact, this peak is best done at sunrise or sunset, partially because of the views and partially because it’s a little bit “quiet” in those hours. 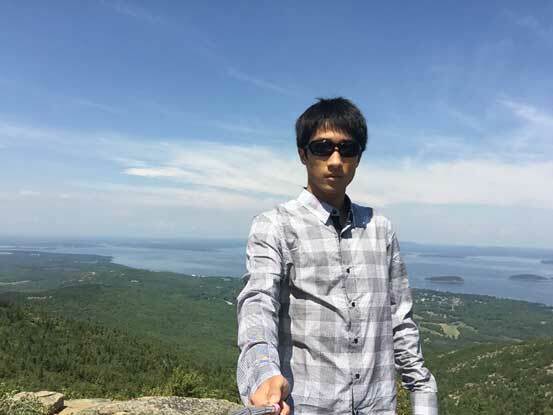 However, with a long drive and a hike up Acadia Mountain in the previous day neither Yujia nor myself was motivated enough to wake up at 4 am… The weather was not going to cooperate in the evening so the idea of watching sunset was also ruled out. The conclusion was, we could sleep in and start our day leisurely and the price we paid was that super duper crowded parking lot on the summit. The traffic was terrible and it took us a good while to find a spot to park, and I have to say that Yujia did a great job being patient on that. 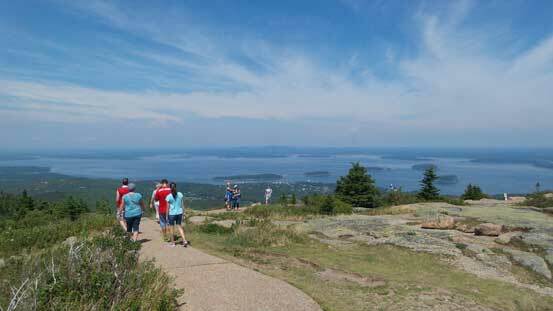 But once parked we were literally just 1 minute’s walk from the summit of Acadia National Park’s highest peak. The weather was gorgeous so we decided to a little tour wondering around the summit plateau. 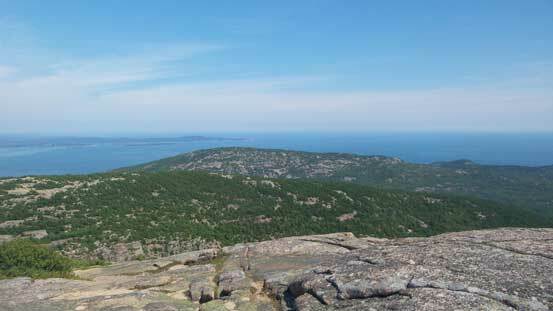 Those granite slabs were fun to walk on and the view of Atlantic Ocean was something I had never seen before. We lingered there for about 1 hour and eventually it was the heat that forced us to retreat. 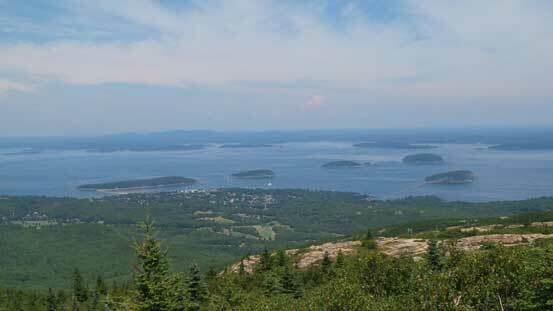 Partial Panorama from Cadillac Mountain. Click to view large size. Now back to car we drove down that winding road and then straight to the nearby town Bar Harbour for some food. Finding a place to park was the crux (even on a weekday like this) and very frustrating… In the afternoon we had planned to do another hike but the day was just too hot. We started out but decided against it after 10 minutes into the hike, so turned around and relaxed a bit on the nearby Sand Beach.